Pharmaceutical giants Bayer and GlaxoSmithKline, along with Verizon, Wisconsin Insurance Alliance, and Credit Union National Association, have announced that they will not fund the climate change denying Heartland Institute in 2012. According to the Heartland Institute’s own fundraising document, it hoped to receive $130,000 from these potential funders this year. Today’s announcement brings the total number of corporate sponsors to drop Heartland to 15, representing $955,000 of Heartland’s projected $7.7 million budget this year. This announcement comes in response to a petition signed by over 150,000 people calling for Heartland’s corporate funders to drop support of the organization, which recently ran a billboard campaign in Chicago comparing those that advocate for solutions to climate change to “murderers, tyrants, and madmen.” The petition was organized by Forecast the Facts, Greenpeace, SumofUs, Sierra Club, the League of Conservation Voters, and 350.org. 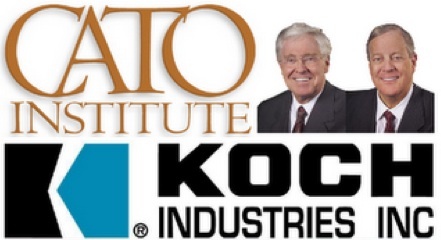 Major corporations and trade groups like Nucor, Pfizer, Reynolds American Inc., and Phrma continue to fund the Heartland Institute. Who needs academic freedom when you got money? Oil companies are dictating future energy options by choosing which academic research projects recieve funding. A recent report by the Center for American Progress found that over the past decade, five of the world’s top 10 oil companies—ExxonMobil Corp., Chevron Corp., BP PLC, Royal Dutch Shell Group, and ConocoPhillips Co.—and other large traditional energy companies with a direct commercial stake in future energy markets have forged dozens of multi-year, multi-million-dollar alliances with top U.S. universities and scientists to carry out energy-related research. The results of the report’s analysis of university-industry contracts raise troubling questions about the ability of U.S. universities to adequately safeguard their core academic and public-interest functions when negotiating research contracts with large corporate funders. In nine of the 10 energy-research agreements analyzed, the university partners failed to retain majority academic control over the central governing body charged with directing the university-industry alliance. Four of the 10 alliances actually give the industry sponsors full governance control. 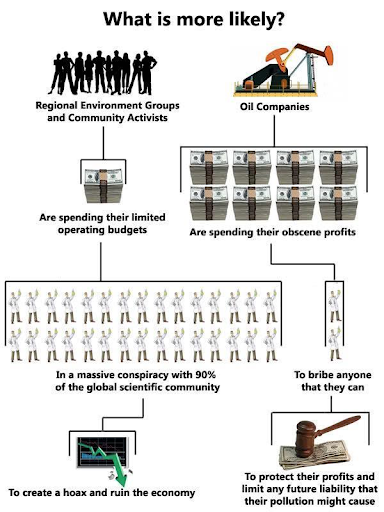 These findings are not surprising when the amount of money put down directly by Big Oil is taken in to account. 10 university-industry agreements together totaled $833 million in confirmed corporate funding (over 10 years) for energy research funding on campus. As large as this figure is, it represents less than half of what Industry actually controls. Because of the federal government’s growing preference for allocating federal R&D funds through corporate matching grants and other cost-sharing and cooperative-research arrangements, private industry now directly influences anywhere from 20 percent to 25 percent of university research funding overall. In this way, a significant share of U.S. taxpayer funding that starts out as “public” funding is effectively turned “private” by the time it reaches the university investigators in their academic labs.